It's hard to look perfectly manicured when our nails are splitting and polish crackles off moments after it dries and when a brittle nails breaks off, it can be pretty painful. If you struggle with dry peeling nails, there are things you can do to get them back into good health. Make sure your diet features foods like liver, cooked eggs, whole grains, cauliflower and avocado which are rich in biotin. Biotin can help strengthen and thicken nails and has many other health benefits. You can also take a biotin supplement. Your fingernails aren't intended to be tools to open soda cans - use another object rather than your fingernails to do these everyday tasks. This is a hard one for me but I know it’s important. Every once in a while, let your nails breath for a week or two by removing any nail polish, apply cuticle oil regularly and keep hands well moisturized. A soothing cuticle cream will help nourish dry cuticles with vitamin E. Massage the cream into and around your nails nightly before going to bed. For weak, thin nails, soak hands in extra virgin olive oil for 10-15 minutes a day, every day for a month, then switch the routine to twice a week. Oils are better at soaking into the nail bed and moisturize the nails longer than creams and gels. This an excellent inexpensive at-home treatment that will help strengthen damaged, weak or peeling nails. When doing the dishes, cleaning and gardening it’s important to wear gloves. Detergents and cleansers are harsh on your nails, causing them to be dry by splitting and peeling. The best way to take care of hands and nails is to avoid drying them out. Frequent hand washing with antibacterial soap is very harsh. Try washing hands with a gentle cleanser, which will sanitize but won’t be as harsh. Always use a good moisturizer to lock in hydration. 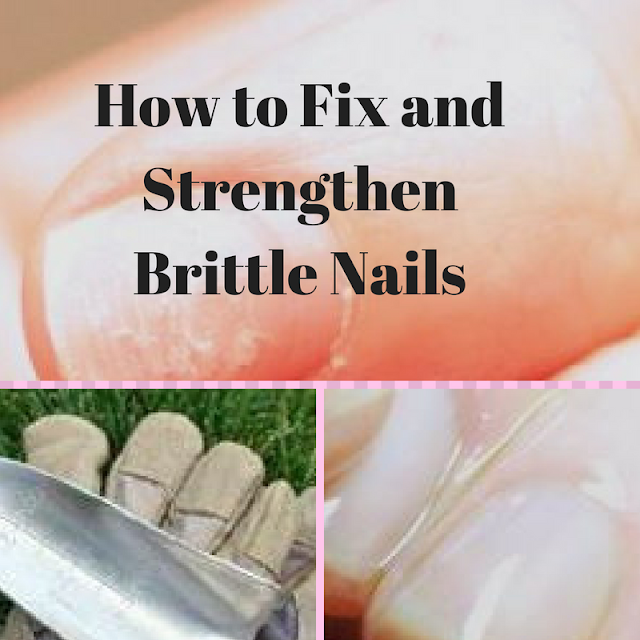 Do you have any tips on how to strengthen brittle nails?